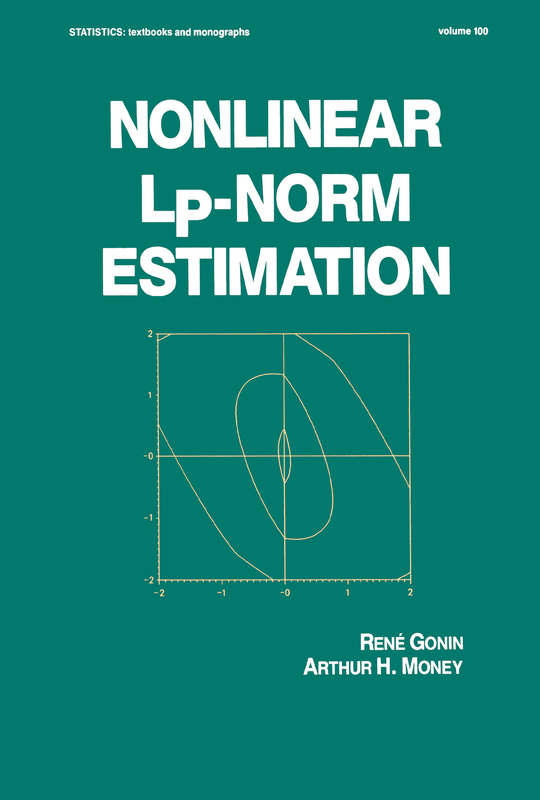 Complete with valuable FORTRAN programs that help solve nondifferentiable nonlinear LtandLo.-norm estimation problems, this important reference/text extensively delineates ahistory of Lp-norm estimation. It examines the nonlinear Lp-norm estimation problem that isa viable alternative to least squares estimation problems where the underlying errordistribution is nonnormal, i.e., non-Gaussian.Nonlinear LrNorm Estimation addresses both computational and statistical aspects ofLp-norm estimation problems to bridge the gap between these two fields . . . contains 70useful illustrations … discusses linear Lp-norm as well as nonlinear Lt, Lo., and Lp-normestimation problems . . . provides all appropriate computational algorithms and FORTRANlistings for nonlinear Lt- and Lo.-norm estimation problems . . . guides readers with clear endof-chapter notes on related topics and outstanding research publications . . . contains numericalexamples plus several practical problems .. . and shows how the data can prescribe variousapplications of Lp-norm alternatives.Nonlinear Lp-Norm Estimation is an indispensable reference for statisticians,operations researchers, numerical analysts, applied mathematicians, biometricians, andcomputer scientists, as well as a text for graduate students in statistics or computer science.